The already famous MM series cleverly combines the practical economy of rigid laminate construction without sacrificing musical response, given this full-body arch back design. 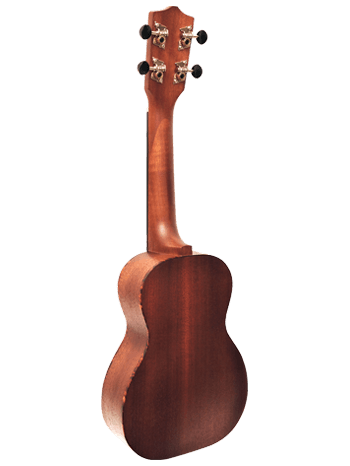 For the price point, MM is the perfect step-up instrument for many players who are keen to own a well built ukulele model that inherently sounds "excellent" and will indeed survive the long haul. LEHO means "seashell" in native Hawaiian and all LEHO instruments produce the melodious, soulful, romantic sounds of Mother Nature at her most proud moment. Sample Nature's critically seasoned tonewoods to instantly expand, enhance, and easily uplift your own playing style and performance. I bought this ukulele on sale last summer and it has been so much fun to play. I bought a second ukulele off amazon but this one stays in tune and sounds much better. The arch back really makes a difference. Love it! I highly recommend this instrument. I got this as a Christmas gift from my parents and I?m so far in love with it!sounds nice and overall worth the price. I got this for my 12 year old daughter and she loved it.the sound is nice and stays in tune well.if you?re a beginner definitely pick this up.